Certified Service and Replacement of Air Conditioning and Heating Systems for Over 25 years. 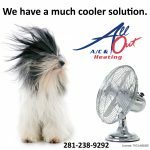 At All Out A/C & Heating, we are fully licensed and insured. This provides peace of mind and protects your home. Working with us ensures you receive top results from start to finish. Our technicians have the knowledge and skills necessary to complete Sugar Land and Katy HVAC repair quickly and effectively. We specialize in cutting-edge techniques and use the latest products to solve your problems with down-home customer service. We install Trane and Ruud as well as service all major brands. We understand the importance of providing professional services, so we always work hard to be the best and clean up when we are finished. Also, we do our best to fix your existing unit to avoid the expense of installing a new system if possible. 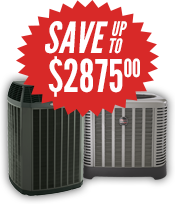 When a Katy or Sugar Land air conditioning repair is not feasible, we will help you select the best HVAC unit that fits your budget and home. We explain why bigger is not always better and analyze your home to ensure that the correctly sized system is selected for maximum cooling comfort and efficiency. We stand behind our services and want all our clients to be totally satisfied. Besides correcting your issues, we strive to educate you about the necessary repairs and replacement options so that you receive the solutions that works best for your individual needs. For example, during a Katy air conditioning repair visit, we explain why it is better to repair or replace your unit because paying attention to the small details is important. Questions are always welcomed and encouraged. Since we have proudly provided decades of excellent heating and air conditioning services, we look forward to proving how our tune up and Sugar Land HVAC repair visits will bring you the best possible results. Our technicians have troubleshooting expertise and diagnose the most complicated problems with ease. 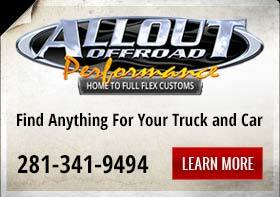 All Out A/C & Heating will be there when the warm weather hits so that you have an efficient air conditioning system. Besides keeping you cool and comfortable, we will help lower your energy bills by recommending the most efficient options available. For repairs, maintenance, and installation, call us at 281-238-9292 for an appointment. Our Phones are answered 24/7.